What could possibly be the best area for research. I would like to give you very briefly my ideas and suggestions for research whatever they are worth. As I am not an expert in research, but only one who cares about it, I would ask you to please take these suggestions for whatever are worth. It has become apparent already that, no matter how good research we may be presenting to the medical profession at this stage through even their best media. there is not going to have a decisive impact on the medical profession at large. The conclusion is definitely that at this moment we need good educational facilities and teachers in homeopathy rather than research in order to boost homeopathy in the world. But I do believe also that scientific research should go hand in hand with the education. As the trend for homeopathy will gain more and more momentum there is going to be a point where the attention of the medical profession will focus in Homeopathy At this time we have to have amassed good scientific research papers to present to the scientific community. That is why I feel that research in Homeopathy at this moment is on a turning point and has to be organized and pushed forwards by all our means. It is apparent now that it will never happen the other away around: That good research will change suddenly the mind of the medical profession. But if we realize that research is important we must do some thinking about it, how to go about, what is the best strategy, what kind of research will be the most effective and the most impressive for bringing in to the attention of the public and the medical profession such a valid therapeutic method..
A first point that I would like to stress is that the designing of all experiments should be done always with the help and advise of good homeopathic clinicians who have the experience of practical application of the homeopathic remedy and are well versed in the laws and principles of homeopathy. Otherwise a lot of our resources will be wasted a lot of failures and disappointments and a lot of unnecessary criticism will be generated. See the research paper in Cephalagia. c. We have to create the necessary mechanisms and structures as to be able to discuss and criticize freely a research idea before is put in to action so that we can give the opportunity to the prospective researcher to hear the opinion of other scientists from different disciplines but mainly the opinion of clinicians of homeopathy and profit from it. With this in mind I would like to give my practical suggestions for research for what they are worth. 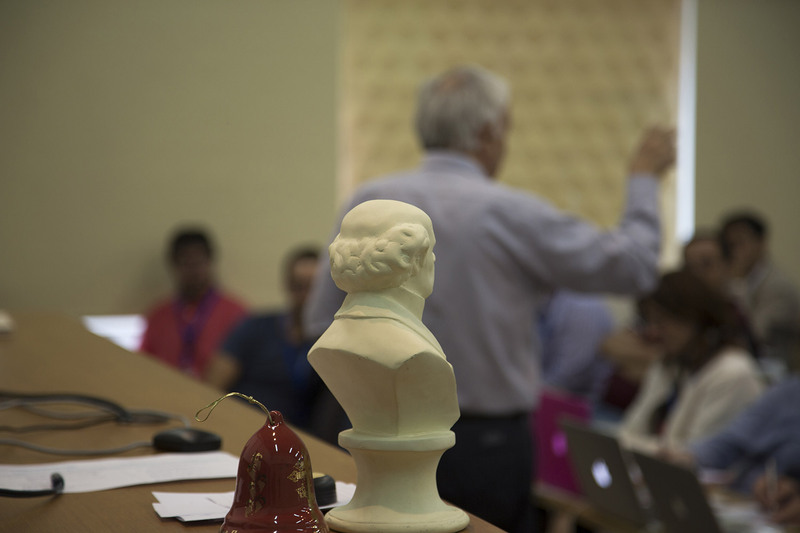 In the International Academy for Classical Homeopathy we see that research in Homeopathy could be divided in to four main groups. In this respect I have maintained since many years that the most easy research for us will be to find patients with keynote symptoms and prescribe one remedy to all of them in double blind experiments.. If the selection of the patients could be done accurately I believe we can have results reaching up to 80%..I will give some examples for those that are well versed in the science of Homeopathy. Sarsaparilla 200 could be used in cases of cystitis that have severe pain at the close of urination in patients with a history of kidney and urinary bladder stones.60% success. Thuja could be used in children cases with hard warts protruding in the shape of cauliflower.in the extremities or the face, before any surgery or cauterization could be applied. Arnica high potency could be tested for bruises in athletes or occupational accidents. The problem with all these cases is the number of patient that can be selected Under the best conditions will still be too small. At the moment with Dr. M.Oberbaum and P. Van Wasselen we are preparing a protocol for testing classical homeopathy. We will try to publish it in a conventional medical journal. Due to the fact that in all homeopathic experiments individualization of the case is needed in order to have a considerable success, in the above protocol we have proposed a way to cut through this difficulty. All other clinical experiments in my opinion will be doomed to failure or the structure of the experiment should be so sophisticated that success could be almost impossible. Especially in cases where allopathic drugs are used in parallel with homeopathic remedies. Similar experiments could be designed for diseased animals with the help of good veterinary clinicians. 2. The second kind of research area is on organ level and on cell cultures. These experiments are most impressive if they are repeatable as the placebo effect is totally eliminated. But I believe unless they are simply designed they also are going to be disappointing. As a simple experiment on cell cultures I would propose that excess salt for instance is given to a cell culture to the point just before the cells start to die and then apply a high potency of Natrum muriaticum 200 to see whether the affected cells can eliminate the absorbed excess salt better than the controls. I believe that this is a feasible and easy experiment. In the same way a slightly toxic substance could be given in excess and the same substance applied in high potency to see the difference from the controls. 3.Research designed to investigate the basic mechanisms and principles operative in homeopathy. Which is to investigate the nature of the vital force or the bioenergy and also the nature of the potentized homeopathic remedy. I think that the paper that was presented in the international Hom.Congress in Athens 1988 by Anagnostatos, Garzonis, Tavouxoglou and myself is an important step towards understanding the nature of potentized remedies. The model we presented is based on the theory of small clusters ( physics) and it will be very interesting to see some more research done on these lines. Concerning the bioenergy no conclusive research has been done so far, at least to my knowledge. An attempt was made by the Athens University in the Trivoelectricity department to measure the difference between a poetized and non potentized substance. The results were encouraging but it has to be repeated. But here I would like to say a few things concerning the overall validity credibility and integrity of the homeopathic research. If it is done under the auspices and financial support of a homeopathic pharmaceutical company very seldom if ever attains credibility. In order to avoid that I would propose that an international committee of trustworthy scientists and homeopaths should be established that will handle all the scientific, bureaucratic and financial responsibility for all research, all over the world. I would like to see that all those individuals, companies, hom. pharmaceutical industries etc. that want to support homeopathic research, should make available the money that want to spend for research to this committee. This committee will be responsible for evaluating the papers submitted to them and will decide who should be subsidized. In this way the pharmaceutical companies will not appear to be directly involved in to the research, something that has caused suspicion and incredibility in the past. Of course, the first that should agree in this idea are the pharmaceutical companies, after that, all others will follow. It has to be understood that it will be to the benefit of everyone if homeopathic.research attains more credibility and does not continue the cancerous tradition of the pharmaceutical industries promoting their own short term interests.